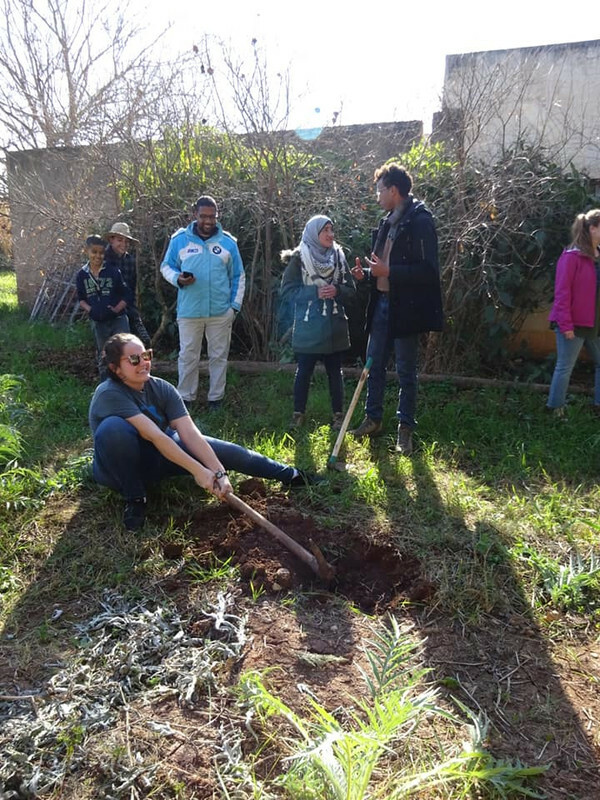 On Monday, project manager Said Bennani, volunteer Celina, and I began our weeklong excursion to Fez and Midelt for environmental workshops and tree-planting activities. 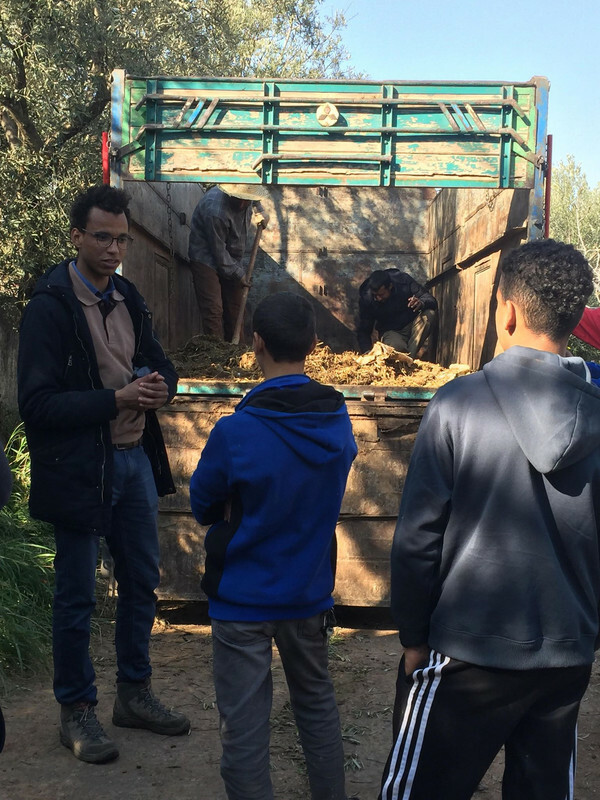 On Tuesday, we visited the Abdelaziz Ben Driss child protection center to conduct an environmental workshop with the boys, plant trees, and help load 7,100 saplings to be planted in Midelt this week. Students from the Spring Arbor University in Michigan, USA, joined us for the tree-planting activities. We had a lively day, inspired by the caretaker’s thoughtful tree nursery management and the boy’s enthusiastic involvement. We started the day by visiting the tree nursery, which was spread across different plots within the center. The local association, which organizes activities for the boys at the center, began the nursery in collaboration with HAF in May 2017. On the way to the nursery, we admired a solar pump, supplying the energy required to extract water from a well. 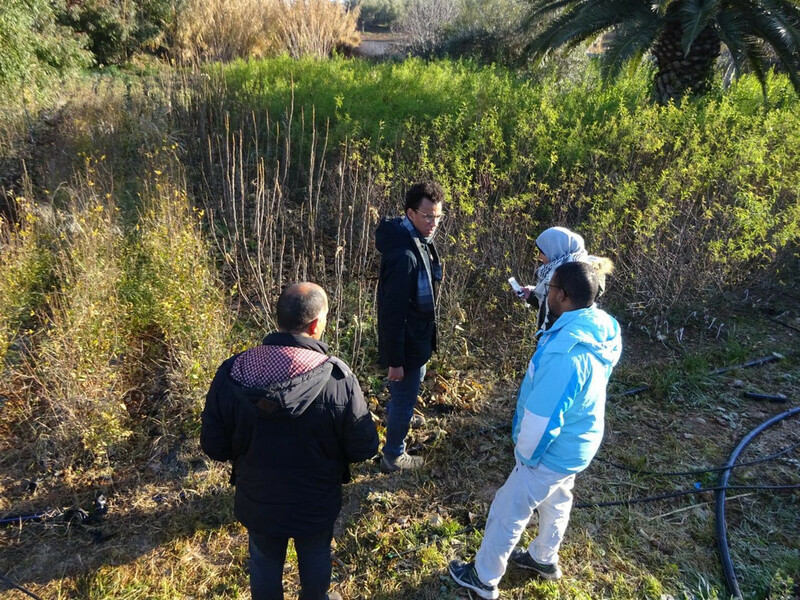 Then, we met with the nursery’s caretaker, Khalid Naji, and he described the nursery conditions and progress in caring for the saplings, which were of the almond, olive, fig, carob, cherry, and pomegranate varieties. Moreover, he showed us various aromatic and medicinal plants cultivated at the center and explained their beneficial properties. All HAF partner nurseries are raised organically, and HAF encourages sapling recipients to continue to cultivate trees organically, for not only the environmental benefits but also for the increased value of accessing the organic market. When the group of 23 students and their professors from the Spring Arbor University arrived, we began our environmental workshop with a group of boys from the protection center. The University students came from a variety of majors and they were all interested in increasing their understanding of multiculturalism. Said facilitated a workshop for the boys to better understand their relationship with their environment. The University students participated by listening and asking the boys questions. When Said asked the boys about their experiences with the agricultural activities in the center, one boy described how much he liked outdoor activities and how he had learned so much from Khalid about planting trees and using drip-irrigation techniques to water them. Another boy added how his family used to purchase large trees and manually water them, but after engaging with the centers nursery, he now understands the transformation of trees from seeds and how to use drip-irrigation techniques to more efficiently care for seedlings. When a University student asked the boys about their favorite part of the tree-rearing process, they nearly simultaneously agreed on the satisfaction of harvesting (and consuming!) tree fruit. Following the workshop—together with the university students and the children—we planted six cherry trees, that the nursery plans to use for seed saving, rather than consumption, contributing to efforts to keep the nursery self-sufficient. 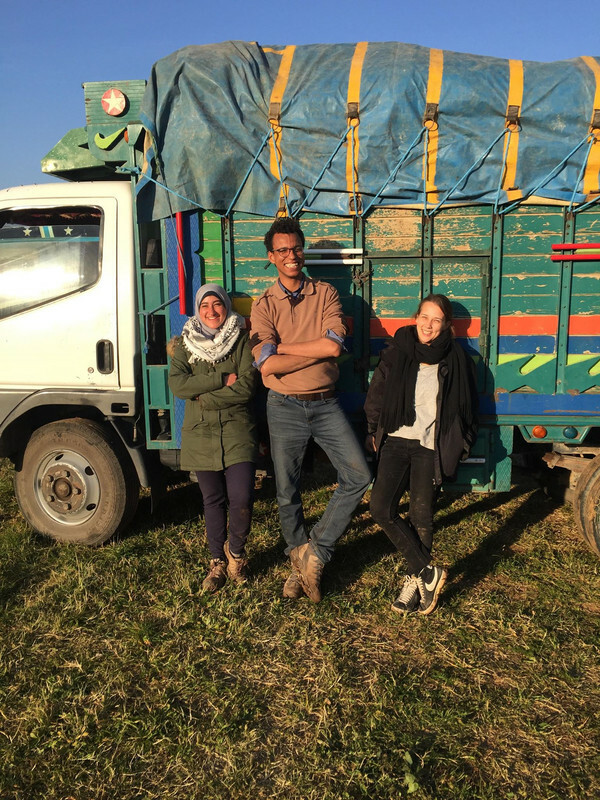 In the afternoon, we began loading olive, pomegranate, fig, and almond saplings into a truck for a tree-planting event in Midelt this Thursday. Prior to loading them, we carefully extracted them from the ground and bagged them to preserve root moisture and, thus, maintain plant viability. Said and Tarik Sadki—a member of the Karama association in Midelt—reminded the boys of the value of their contribution: as the ones who helped sow and care for the saplings, the kids were directly improving and supporting people’s livelihoods for years to come. 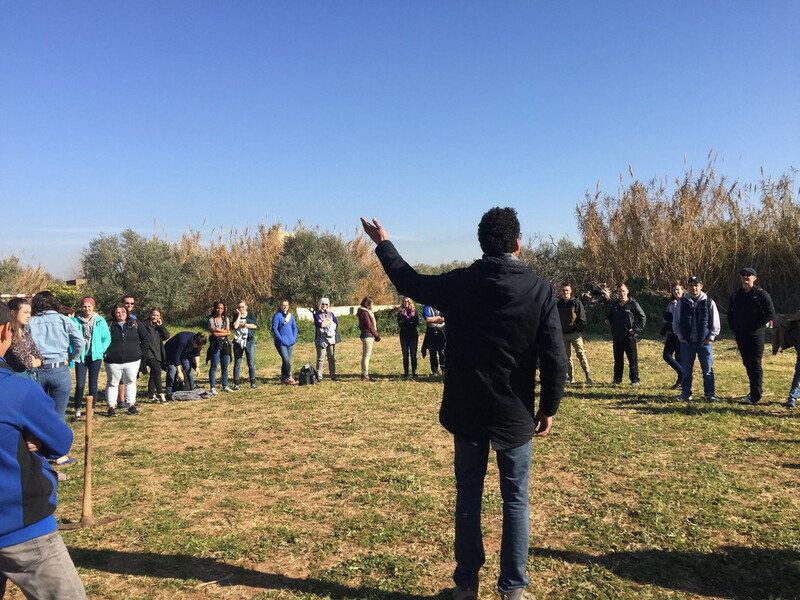 The HAF team and the local association are now in Gourrama commune, where we will facilitate environmental workshops and distribute trees to communities. In this week, we have seen how tree-planting can be a vehicle for promoting cross-collaborative sustainable development, led and defined by communities, involving children, youth, adults, and local associations, to improve people’s lives across regional boundaries. 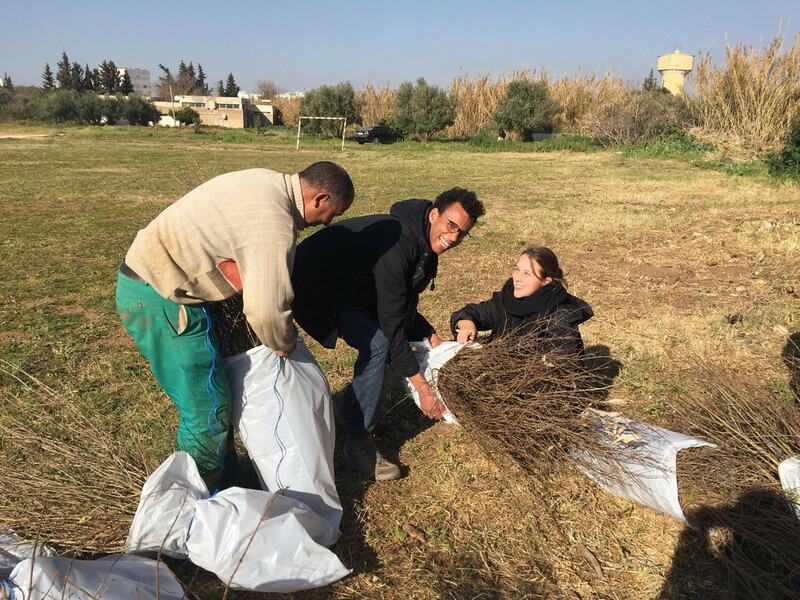 We thank Ecosia for funding the Abdelaziz Ben Driss nursery; without their support, these transformative experiences could not have been possible.